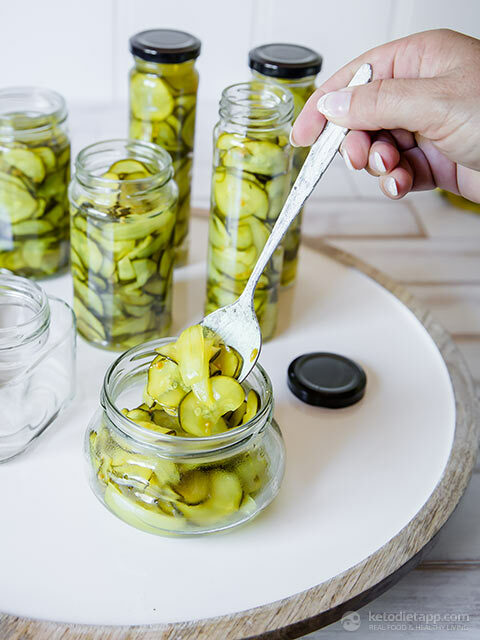 This pickle recipe was originally given to me by my very good friend, when she gave us a jar and we devoured it in the space of a few days. Clearly, she had no intention of being a slave to our pickle passion! 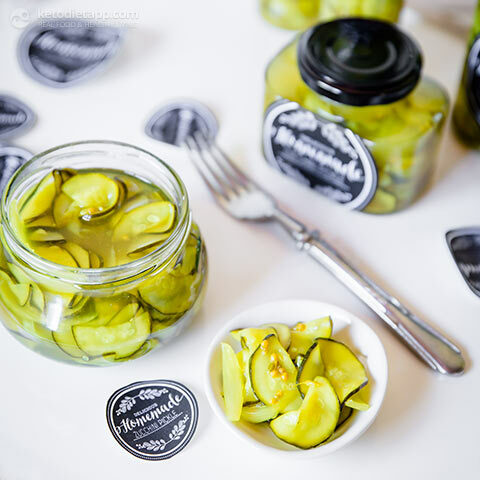 These pickles are crunchy, tangy, a bit sweet and have a lovely spiced undertone. They are super easy to make and only require a bit of patience. 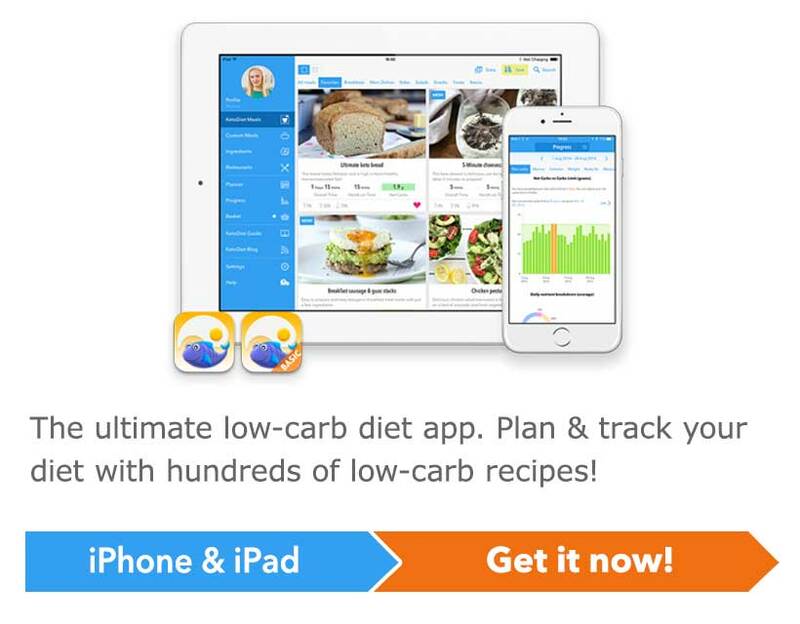 I tweaked the original recipe to make it low carb and, hand over my heart, I swear you can’t tell the difference. 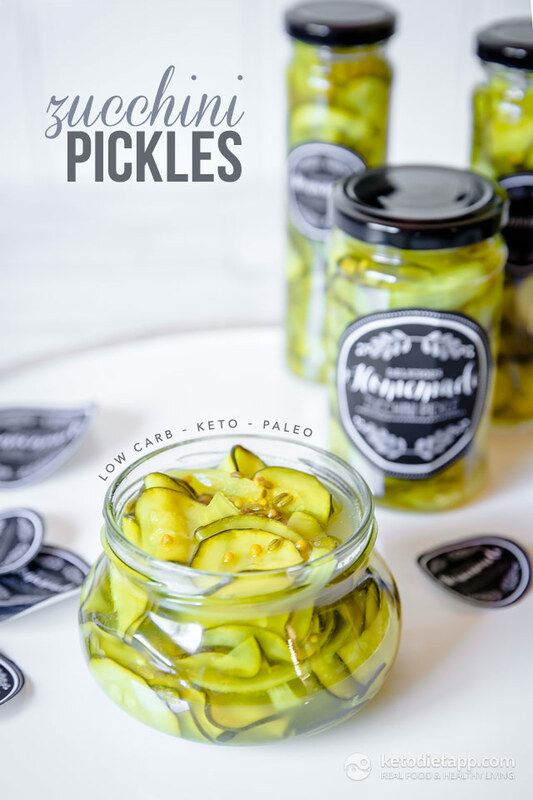 We like to eat these pickles with a sharp cheddar cheese. Well, let’s be honest; we just like to eat these pickles. Enjoy! 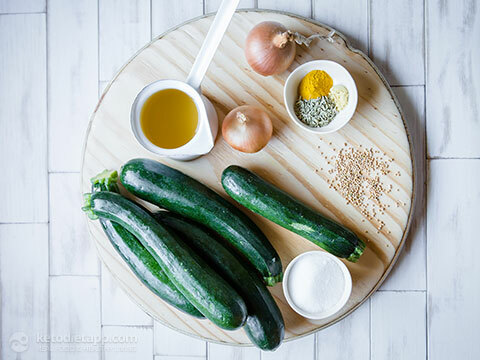 Nutrition facts are estimated as some of the ingredients are only used for pickling (due to negligible effects on nutrition facts, I fully included them in the calculation). Only salt is counted partially to more accurately reflect the sodium content per serving (as listed in the KetoDiet App). 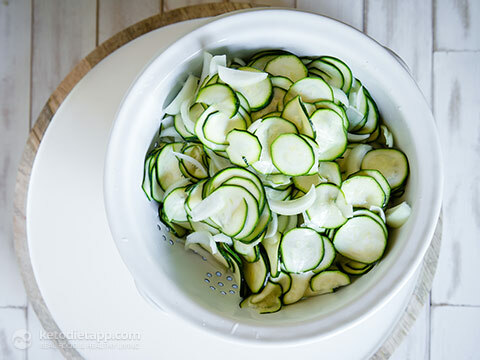 Wash your zucchini and trim the ends. 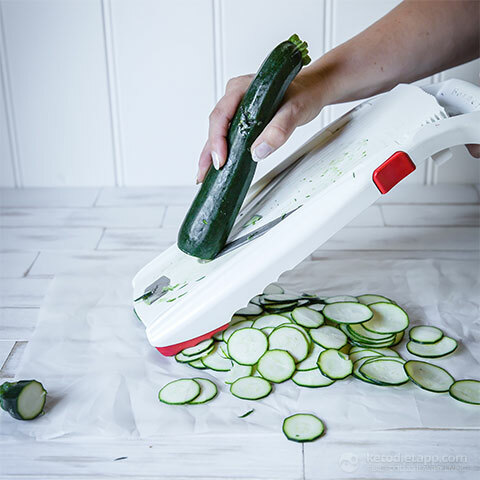 Using a sharp knife or a mandolin, slice the unpeeled zucchini very thinly. Cut the onions into small wedges and separate the layers. 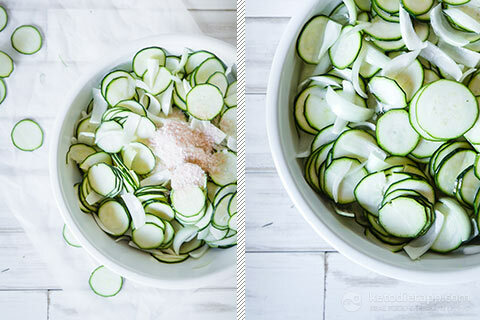 Put the zucchini and the onion into a large bowl and sprinkle with the salt and cover with water. Leave for one hour, and then drain. Combine vinegar, Erythritol, and spices in a large saucepan and bring to the boil. Take saucepan off the heat. 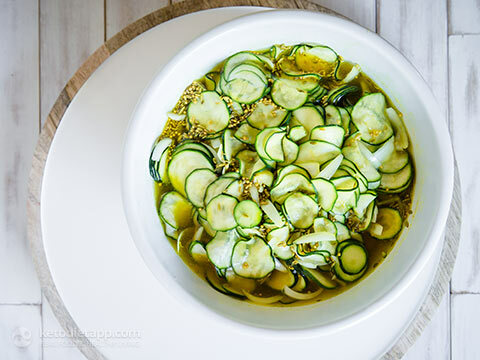 Place the drained zucchini mix into the vinegar and leave to soak for one hour. Return pan to the heart and bring to the boil. Reduce heat and simmer for three minutes. Spoon into sterilised jars, top off with the vinegar blend and cap tightly. Sorry to be stupid (I have never made pickles)....can I store these in a cupboard before opening or should they go in the fridge straight away? Thanks. 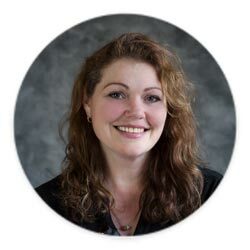 Hi Diane, not at all! So if you want to store them in the cupboard you will need to preserve the jars (just google "preserve with canning method"). Otherwise they need to be stored in the fridge. I made these, stored them in the fridge for a week before opening. They were delicious! Thank you Diane, I'm glad you enjoyed! The Zucchini Pickles are great. I love them. I eat it on the side dish. Can these be preserved in a water bath? I believe they can  I suppose the result will be similar to pickled cucumbers. Just make sure to keep them in the after bath for as little as possible - only to let the lid seal so they don't overcook and get mushy. These look delicious! The pictures are great. Are the final product as crunchy as normal pickles? I worry when cut that thin they could get a little soggy. Thanks for the recipe!! How long do i have to leave them in the jar before I can use them. I cannot wait to try this, thanks so much Naomi! These look delicious, I'm making them soon, great for snacking! I think this really depends on what you like. I've had salty pickles before and was not a fan but you may like them. You could give it a try (maybe make 1/2 or 1/4 batch first). I think that leaving the sweeteners out would result in a really vinegary taste. I agree with Martina, you could try a small batch and see how it goes? If you do, I'd love to know.